Overview: Connected Living connect seniors to their families and friends, transforming the experience of aging. 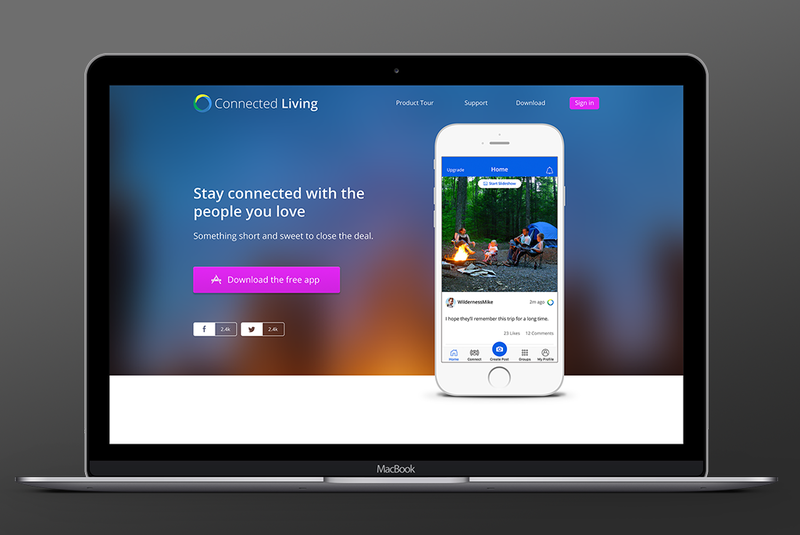 The Connected Living app is a unique way for families to stay connected, even when they are far apart. It provides families a way to engage within their own private circle, sharing memories and stories from wherever they reside. Our Role: CH2 used our creative-first approach to design concepts that led to a fully functional mobile app, a website and admin tools, and a membership database. Our solution provided Connected Living with a competitive advantage. They now connect more than 20,000 seniors with their families and enable senior living facilities to provide a better experience for their residents.